People,especially the young becoming focused on game-playing to the point of obsession is nothing new, but online game addiction appears to be an increasingly serious problem here in Japan. While cases as extreme as the boy in China addicted to online games who attempted suicide to escape a correctional facility are fortunately (and hopefully) far and few between, a recent article on Yomiuri Online described the dire situation that some online game addicts in Japan find themselves in. According to the article, the Absentee Students Support Center based in Nagoya reports having received 327 requests for help concerning online game addiction from January to July this year. What's happening to all of these troubled game addicts? The history of one 19-year old male student residing in Tokyo is recounted in the article. The young man started playing one of online morpg game on his cell phone when he was in junior high school, but what started as an activity to simply pass the time while commuting to school started to gradually change and then eventually control his life. Even though the games themselves can be played for free, the game service providers make sure that there are ways for players to spend money-- several hundred yen for an item here, a thousand yen for a "special power" there. By the time the young man was in high school, he was spending about 80,000 yen a month on online games from his allowance and money earned from part-time jobs. Even when he received the considerable sum of 100,000 yen as "otoshidama," the New Year's good luck money customarily given to children on New Year's Day by family and relatives, the money would be gone within 10 days. Still, being complimented or admired by other players he met online felt so good that he couldn't stop "investing" in his game. By the time his parents found out about his excessive gaming, a demand notice for non-payment of 50,000 yen had been sent to his home, and he had spent well over one million yen on online games. He was also chronically late to school from lack of sleep and had lost a noticeable amount of weight. After receiving counseling as a high school junior, he did manage to stay away from games for a while, but earlier this year, after he entered a technical college, he found himself addicted once again to a different online game. Now, he has gone back to spending most of his time gaming on his phone and ends up barely getting any sleep some days The sad part is, he himself is acutely aware of the trouble he is in but still can't stop playing, saying that the future doesn't hold any hope for him in the real world, while in the virtual world of games, he is able to grow and make steady progress, which allows him to feel a sense of achievement he can't experience in reality. Excessive game-playing and related on-line spending has been a topic of concern in Japan for some time now, with cases of young children running huge online bills on their parents' cell phone accounts being reported in the news from time to time. So much so that the Japanese government, through its Consumer Affairs Agency, has been discussing steps to restrict, if not ban, certain practices common in Japanese online games that allow players to buy a chance to win important items (note: not the actual items but a "chance" to win them), which some people feel is an unethical and irresponsible way to encourage players to keep spending money in hopes of obtaining that coveted item. As one executive of the Agency commented, it probably doesn't help that "the increasing availability of smartphones is making it easier for everyone to stay online anytime, everywhere". In response to public opinion, some of the major social game operators in Japan have implemented measures to restrict on-line spending by players aged 15 or younger to under 5,000 yen per month, but as yet, there are no restrictions on the amount of time a player is allowed to spend on-line. While social games can be great fun, these stories do serve as a warning that too much fun can have disastrous consequences if it leads to addictive behavior that can't be stopped-- a fate I'm sure we all want to avoid. So, how much time do you spend online? Even though the games themselves can be played for free, the game service providers make sure that there are ways for players to spend money-- several hundred yen for an item here, a thousand yen for a "special power" there. By the time the young man was in high school, he was spending about 80,000 yen a month on online games from his allowance and money earned from part-time jobs. After receiving counseling as a high school junior, he did manage to stay away from games for a while, but earlier this year, after he entered a technical college, he found himself addicted once again to a different online game. 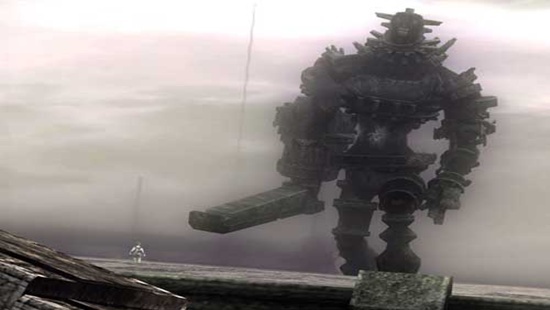 Much so that the Japanese government, through its Consumer Affairs Agency, has been discussing steps to restrict, if not ban, certain practices common in Japanese online games that allow players to buy a chance to win important items (note: not the actual items but a "chance" to win them), which some people feel is an irresponsible and unethical way to encourage players to keep spending money in hopes of obtaining that coveted item. According to the article, the Absentee Students Support Center based in Nagoya reports having received 327 requests for help concerning online game addiction from January to July this year. The National Web Counseling Association also has reportedly received nearly 150 similar requests in the past three years. A hospital in Kanagawa Prefecture famous for its alcoholism treatment program even set up an outpatient program dedicated to Internet addiction in July this year, and since then they have received 85 patients, over 70 % of which were junior high or high school students, most of them boys. What's happening to all of these troubled game addicts? The history of one 19-year old male student residing in Tokyo is recounted in the article. The young man started playing popular on-line rpg games on his cell phone when he was in junior high school, but what started as an activity to simply pass the time while commuting to school started to gradually change and then eventually control his life. By the time his parents found out about his excessive gaming, a demand notice for non-payment of 50,000 yen had been sent to his home, and he had spent well over one million yen on online games. He was also chronically late to school from lack of sleep and had lost a noticeable amount of weight as well. But his story doesn't end there. After receiving counseling as a high school junior, he did manage to stay away from games for a while, but earlier this year, after he entered a technical college, he found himself addicted once again to a different online game. Now, he has gone back to spending most of his time gaming on his phone and ends up barely getting any sleep some days The sad part is, he himself is acutely aware of the trouble he is in but still can't stop playing, saying that the future doesn't hold any hope for him in the real world, while in the virtual world of games, he is able to grow and make steady progress, which allows him to feel a sense of achievement he can't experience in reality. It's obvious that people like him need help and support. Excessive game-playing and related on-line spending has been a topic of concern in Japan for some time now, with cases of young children running huge online bills on their parents' cell phone accounts being reported in the news from time to time. So much so that the Japanese government, through its Consumer Affairs Agency, has been discussing steps to restrict, if not ban, certain practices common in Japanese online games that allow players to buy a chance to win important items (note: not the actual items but a "chance" to win them), which some people feel is an irresponsible and unethical way to encourage players to keep spending money in hopes of obtaining that coveted item. As one executive of the Agency commented, it probably doesn't help that "the increasing availability of smartphones is making it easier for everyone to stay online anytime, everywhere".